ANP’s Nano Intelligent Detection System (NIDS) can detect multiple biological agents simultaneously. As the threat of biological warfare grows, countermeasures are needed to defend against it. Current technologies and methods focus on targeting a single agent, but the NIDS biothreat detection system can identify up to 5 agents per test strip. The unique aspects of NIDS technology enables lateral flow assays to increase sensitivity, improve precision, reduce false positive rates and Hook effect, as well as establish quantitation. This bio-threat detection system offers a transformational advance in immunoassay technology in virtually every aspect of performance, reliability and value. 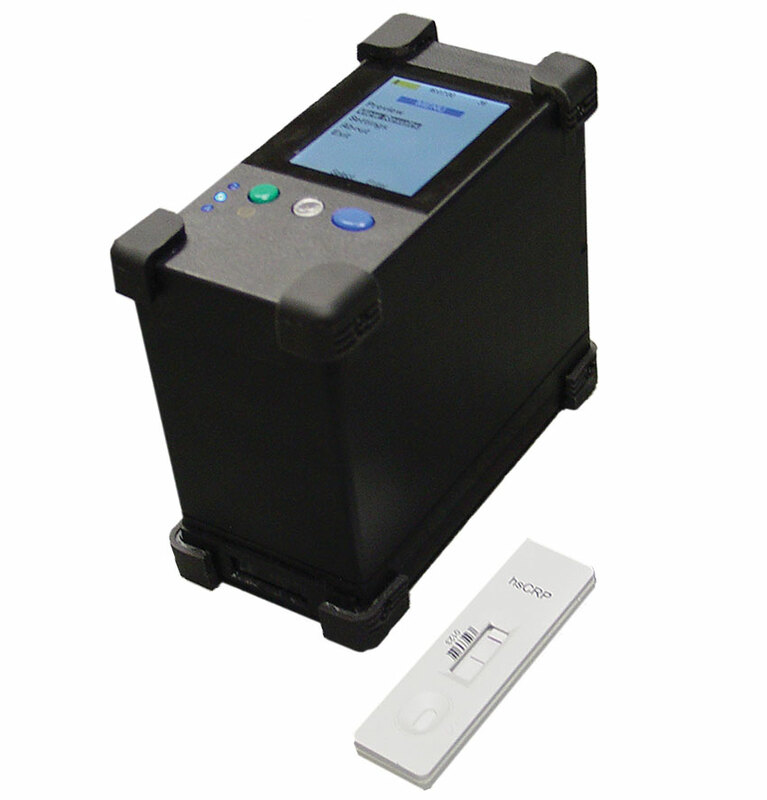 The NIDS® handheld reader is a palm-sized, portable, ruggedized optical scanning device that takes all of the guesswork out of interpreting Handheld Assay results by different responders in field conditions with poor lighting and limited visibility while wearing PPE. NIDS® (Nano Intelligent Detection System) bio-threat detection system offers a transformational advance in immunoassay technology in virtually every aspect of performance, reliability and value. Browse all ANP Tech equipment in our online store.